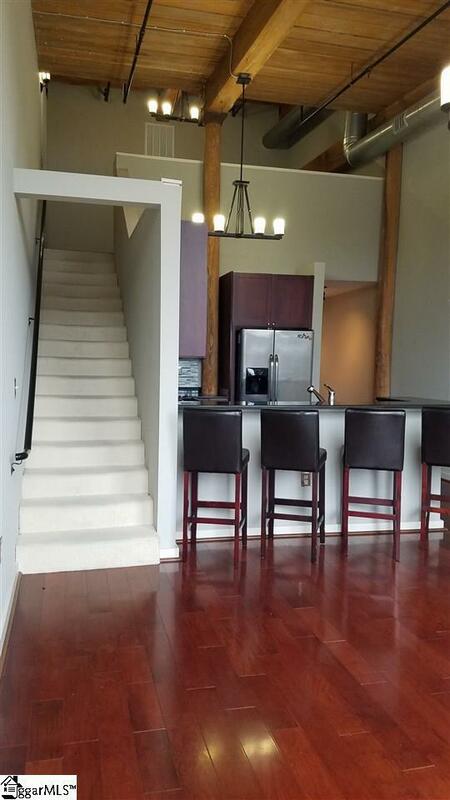 DOWNTOWN GREENVILLE CONDO LIVING AT THE LOFTS AT MILLS MILL! 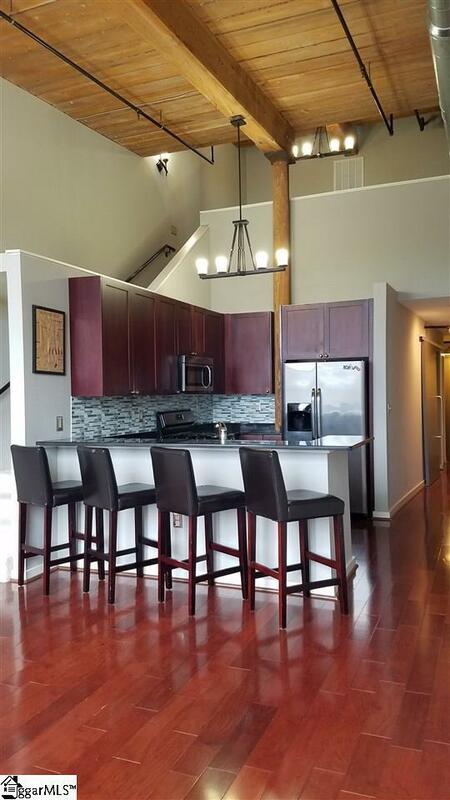 Gorgeous top floor 2 bedroom, 2 bath loft priced well below comparable units at only $319,000! 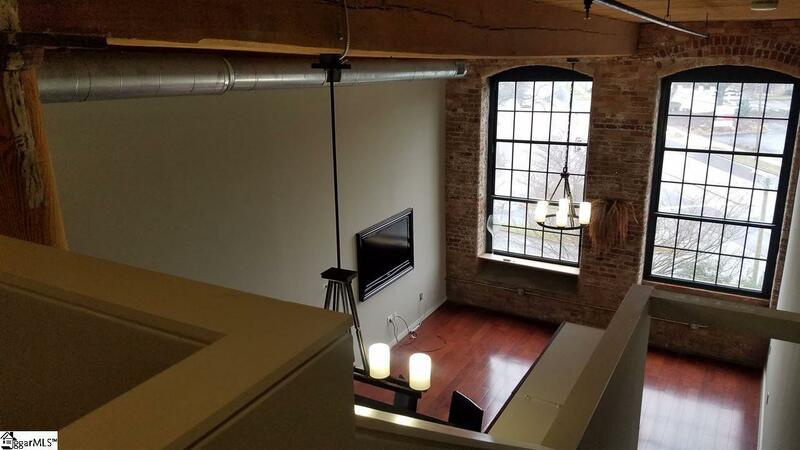 Exposed brick, original wood beams, soaring ceiling height, 18 ft arched windows, upgraded Brazilian cherry floors on both floors, custom master closet shelving, mahogany television frame, 2 walk in showers with full length glass doors and custom slate work. Kitchen has stainless appliances with a gas range, solid wood cabinetry, and granite with a space for entertaining. The 7 acre property provides amenities such as ample parking, secure gated lot, key card access, pool, dog park with creek, fitness center, resident garden plots, and a common area for gatherings! 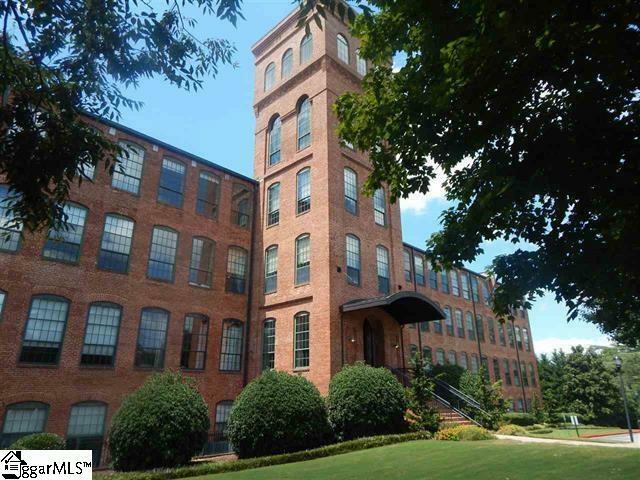 Less than ONE MILE to downtown Greenville Main Street and minutes to Prisma Health's main campus (formerly GHS) and close to Falls Park and the Swamp Rabbit Trail.